Buy links to books I’ve published. When Fitzwilliam Darcy and Elizabeth Bennet meet in Hyde Park, Darcy immediately finds his opinions of the world challenged by the lady. Their attraction grows at the next meeting as Elizabeth finds she has at last met a man who accepts her wit and intelligence. The budding romance may be killed, however, upon their arrival in Hertfordshire. Darcy must meet Elizabeth’s family while Elizabeth grapples with the jealous Caroline Bingley, all the while a man in uniform watches and plots. Fate brought them together, but only love can overcome their obstacles. 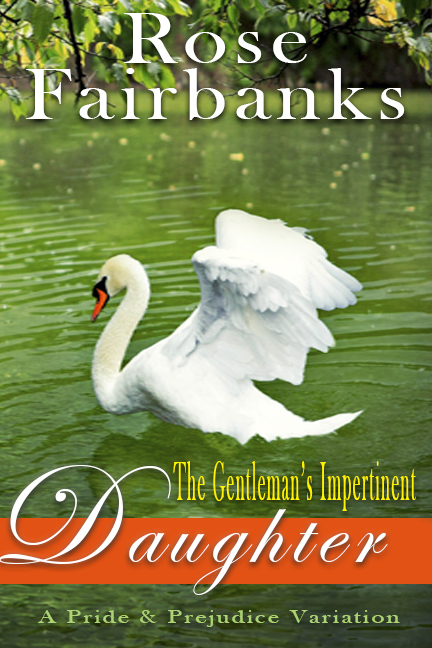 Short and sweet, The Gentleman’s Impertinent Daughter is an uncomplicated romance for all who love Jane Austen Fan Fiction. Resolved to forget Elizabeth Bennet during a winter in London, Fitzwilliam Darcy writes a letter in bitterness of spirit. Frustrated by her growing obsession with the arrogant man, Elizabeth commits her thoughts to paper. But angry people are not always wise, and secret thoughts do not always remain secret. Compelled to face their selfishness and fears, their actions encourage those dearest to them to change as well. An unexpected mixture of introspection and comedy, Letters from the Heart is perfectly packaged with charm and sweet romance. Upon leaving Hertfordshire in early December, Darcy feels certain he provided reasons for Elizabeth to distrust Mr. Wickham. She, in turn, believes Darcy understands Jane’s feelings for Mr. Bingley. Disappointed in her attempts to see Bingley again, Jane despairs of ever finding happiness. Yet, the business of life cannot always remain undone. 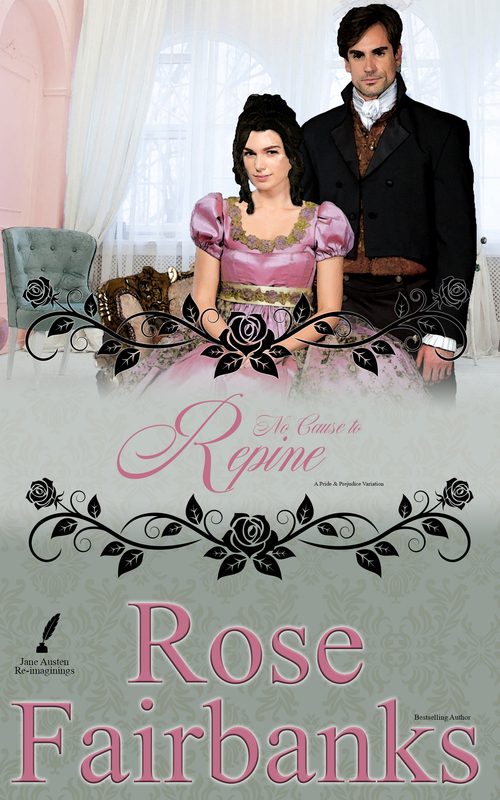 When Darcy and Elizabeth meet again in Kent, both couples must face the courses their lives have taken. Undone Business explores the cost of both opportunities missed and second chances seized. Steal a quiet moment with Darcy and Elizabeth… In the busy world of go-go-go, we often have our gadgets glued to us all the time. Via technology we can now take our books with us much more conveniently than before, but who wants their reading interrupted in order to return to the real world? 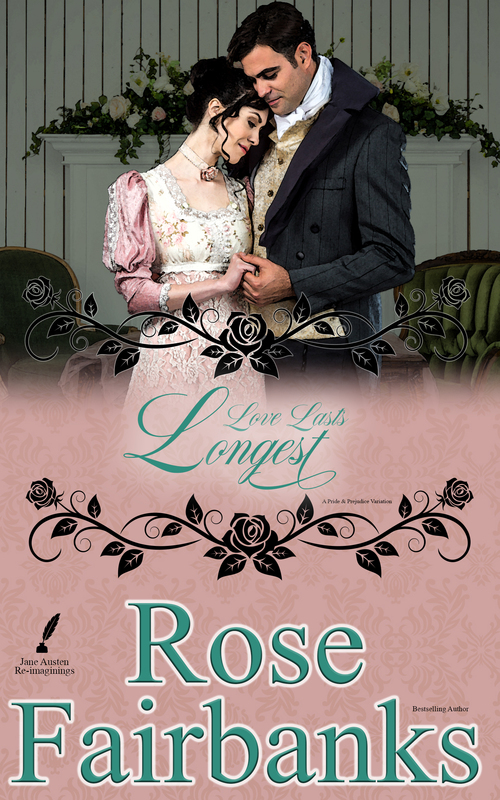 Love Lasts Longest was written for the moments when reading a lengthier volume is unwise. Follow each story as we see Fitzwilliam Darcy and Elizabeth Bennet grow in love over and over again! Although Elizabeth Bennet once refused her father’s heir, she reconsiders when her elder sister—despondent from heartbreak—contemplates marriage to him. Confident that Mr. Bingley will return to Netherfield and confess his love for Jane, Elizabeth accepts Mr. Collins’ offer of matrimony. When Fitzwilliam Darcy visits his aunt’s estate months later, his heart breaks at learning Elizabeth is now Mrs. Collins, and due to his selfishness. As Darcy determines to right his wrongs, a fever breaks out in London, forever altering his relationship with Elizabeth. 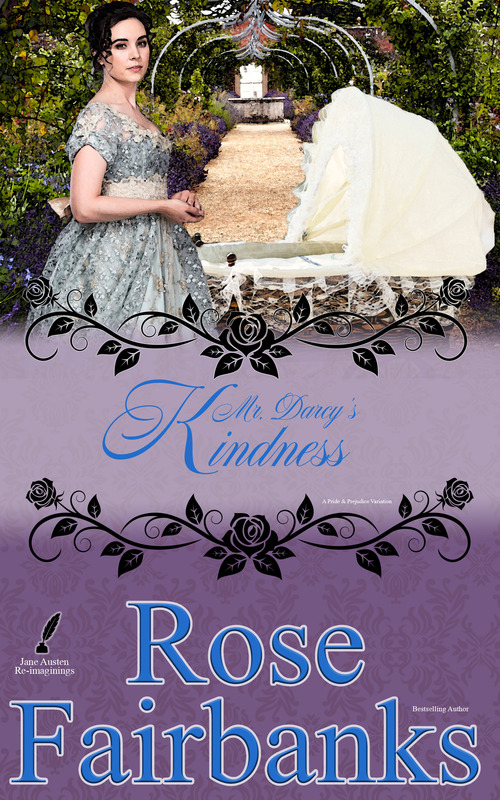 In Mr. Darcy’s Kindness, misunderstandings and pride lead to more regret and heartache than Jane Austen’s original, but love always finds a way. Re-imagine Jane Austen’s beloved Pride and Prejudice. The well-known story changes seven times when snowfalls and the Christmas messages of goodwill and love to all warms and transforms hearts. Discover the magic and wonder of true love, first kisses, and forgiveness with Mr. Darcy, Elizabeth, Jane, and Mr. Bingley in Once Upon a December. A Sleigh Ride for Two: Darcy returns to Hertfordshire armed with a sleigh and a plan to clear his good name. Thawed Hearts: Inspired by In the Bleak Midwinter by Christina Rossetti, Darcy seeks happiness in a world of cold memories. Fitzy the Snowman: The Gardiners’ youngest daughter witnesses love spark between Darcy and Elizabeth during a day of snow games. The Force of Love: Relatives present logical reasons for Darcy and Elizabeth to reconsider their understanding of themselves, but true change is born of love. Home with You: Jane knows her heart belongs with Mr. Bingley, but despairs of ever feeling at home again. Fortune Favours the Bold: Regency era propriety dictates letters between unwed ladies and men taboo. Sometimes, breaking the rules is worth the risk. Winter Walks: A walk in the snow covered lanes near Longbourn adds romance and magic to Darcy and Elizabeth’s engagement. 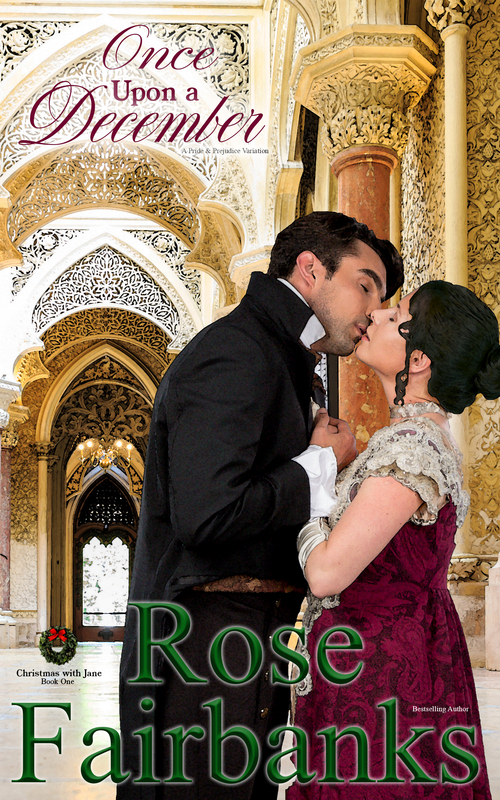 **All stories are set in Regency England. ‘Tis the season to believe in miracles! Less than a month after Fitzwilliam Darcy left Hertfordshire, he regrets the decision. Still, stubborn as they come, he will abide by the choice even if his heart freezes over worse than a December chill. At Longbourn, Elizabeth Bennet rejects the Christmas themes of unconditional love and forgiveness. In her mind, Mr. Darcy deserves neither and not only for insulting her upon first sight. 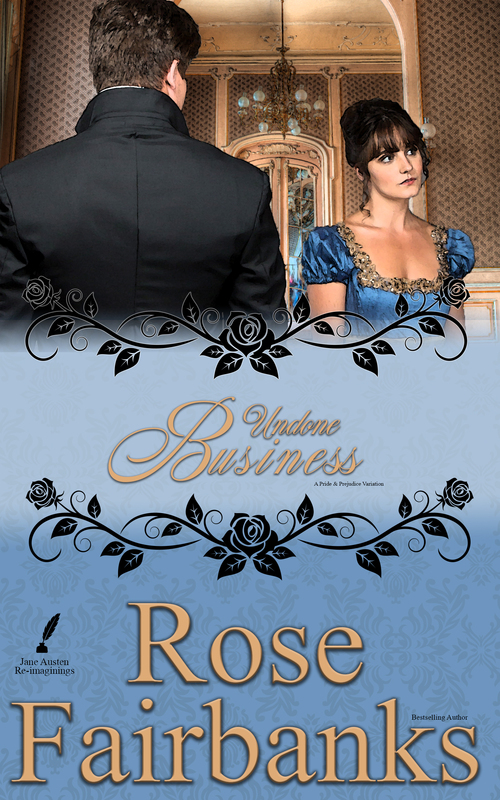 Elizabeth is certain Darcy is behind her sister’s heartache. Fate has other plans, however, when it throws them together again and again and again. Christmas magic works on their hearts and minds as the calendar refuses to budge from December 23. What will it take to see Christmas Eve? How many lives need to change? 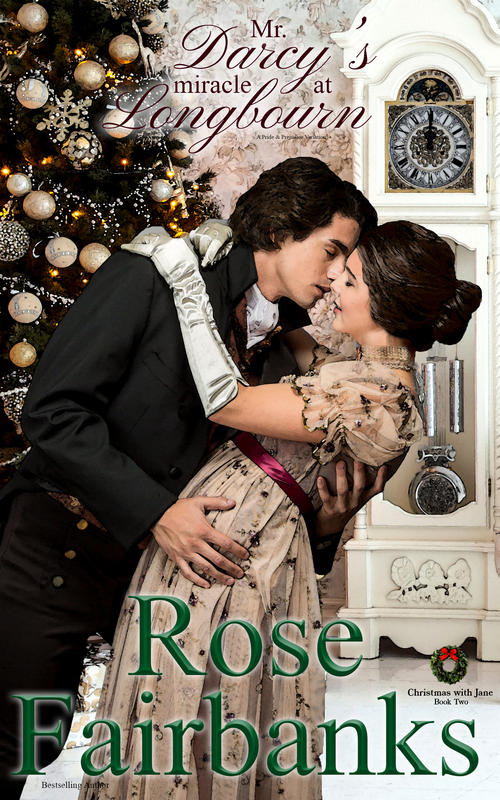 Mr. Darcy’s Miracle at Longbourn is a heart-warming holiday read from Rose Fairbanks, author of Mr. Darcy’s Bluestocking Bride. If you love A Christmas Carol, It’s a Wonderful Life, and Miracle on 34th Street, fill your mug with hot cocoa and buy your copy today! Sometimes the most loving heart lies beneath a prickly exterior. On a much-needed holiday with her favorite relations, Elizabeth Bennet is in search of Christmas cheer. Instead, she meets The Great Curmudgeon, or as the locals call him, Mr. Darcy. Darcy hates any display of Christmas happiness. He didn’t always feel that way but is certain he will never welcome it again. In defiance of Pemberley tradition for being the life-force behind the holiday in the area, he shuns it after a family tragedy. 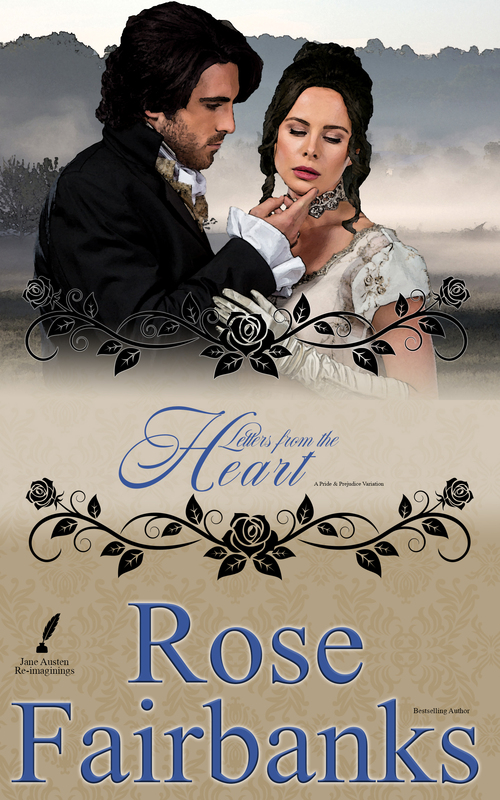 Despite their first perceptions of each other, Darcy and Elizabeth cannot resist the pull of their hearts. Old and new friendships, however, collide to weave an insurmountable obstacle between the fledgling lovers. Will Darcy be able to see past his pain or will he forever miss out on the joy of true love? *Although a series, this book reads as a standalone story of the courtship and first days of marriage of Darcy and Elizabeth. *This story contains a scene of nonexplicit sexual violence. As a soldier, Richard Fitzwilliam takes orders. He obeys without question until commands to give up the love of his life and fire on his countrymen throws him into turmoil. Not so long ago, losing love crushed Lady Belinda Crenshaw’s heart. Unexpectedly, she found a second chance with Colonel Fitzwilliam. Now, an old family nemesis has triggered a plot which will separate them forever. Once bitten and twice shy, Richard and Belinda find themselves in a tempest with no rescue device. Foes near and far attempt to divide them, testing their faithfulness to its limits. With enemies surrounding them, can they trust each other? He’s on the hunt for a bluestocking, and she is no man’s fool. Fitzwilliam Darcy, heir to a barony, must put aside his hatred for attention and Society and find a wife. Deemed the most eligible bachelor of the Season, he seeks high and low for a well-bred, intelligent woman to replace the one he determined unsuitable. She was everything he ever wanted…if only she was not his best friend’s sister. As any honourable gentleman knows, a friend’s sister is untouchable. It is a code that Fitzwilliam Darcy has never had an issue with until now. However, Elizabeth Bennet might be enticing enough to risk not only disinheritance from his father and the displeasure of his entire family but also the loss of his best friend’s trust. To Elizabeth, her brother’s friend, Will, is as pompous as the day is long. However, he is also enigmatic, and soon, she finds herself drawn to his complexities. Unexpectedly, she falls hard and fast for this young heir of a vast estate, but at sixteen, she has never been in London society before and is new to all its deceptions and games. Will she be able to decipher who to trust or will her heart pay the ultimate price? Beneath layers of mistrust and betrayal, the embers of their passion and love continue to burn. Jilted for years, Elizabeth Bennet has vowed to never allow Will Darcy back into her life when he arrives in Meryton five years too late. However, her defenses begin to crumble with his sweet words of regret and persuasive kisses. When he proclaims they will wed, Elizabeth’s friends and family reinforce what she already knows: she should never trust Will with her heart. Facing his demons, Will finally journeys to Meryton determined to make Elizabeth truly love him this time. Soon, he learns he had misjudged her—she was never unfaithful. Someone plotted to tear them apart, preying on their insecurities. With many suspects and few clues, Will must discover who sabotaged their relationship while endeavoring to earn Elizabeth’s trust. Her respect is the one thing he cannot buy and may never attain. The second volume in the Loving Elizabeth series, Reunited tantalizes readers with a swoon-worthy hero, passionate encounters, and a love that transcends all obstacles. Perfect for a fast-paced summer read, buy today! Together they can conquer anything…and their enemies know it. Just as all seems well in Will Darcy’s life, old troubles reemerge. Now, he may have to choose between following his heart and keeping his beloved safe. Elizabeth Bennet has waited five years to marry Will and is determined to see them to the altar. Confident their love will prevail, she bears their trials with patience and cleverness. The final book in the Loving Elizabeth Series, Treasured is a dramatic conclusion to Will and Elizabeth’s saga. If you like love stories with the couple fighting outside forces, a knight in shining armor, and spirited heroines buy today! i have been trying to find your book about ruby… the dukes bluestocking plan… could you please send me a link to where i can purchase it. Hi! Thanks for your interest. It’s not out yet but will be the second Lords & Bluestockings book. I hope to have it out in Fall 2017. Love your books, been slowly adding them to my Kindle. Are you Isobel Quinn? If so, I have the first book, Sisters Bewitched in my Kindle but have been unable to find a Kindle version of the continuation, The Secrets of Netherfield Abbey — HELP! Thank you. Hi! Yes, I am Isobel Quinn. I’ve actually decided to retire that series and work on it more. I had intended to do it as a short story series but then The Secrets of Netherfield Abbey was novella length. Then when I was working on the third book, it was becoming novel length. What I’m doing now is editing the first two books and rounding out the magical world and some other things more and will be republishing under a different series name and title. If you email me at rosefairbanksauthor at gmail dot com, then I can send you the copy of TSNA for now and put you on the list of those to receive the updated books for free. Great start! Do you have a date when will the book be available for purchase? I don’t have a firm date. I had wanted it to release in September but that does not look possible. Now, I’m hoping in October. I was wondering when the third book in the Loving Elizabeth series will be available on amazon. I really enjoyed the first two. I just finished the first draft this weekend and it still needs to be edited so probably later this month. I’m pleased you are enjoying the series so much! Have been unable to find Surprising Serenity of the When Love Blooms series. I have so enjoyed all the books in this series. Is it available? Surprising Serenity is not available yet. I am hoping to write it in 2019. When will book two Darcy’s Bluestocking Bride be out? When will Lady Darcy’s Bluestcking Club be finished? When do you plan to release the the friends and follies restored book? I am anxious to read after the teaser at the end of the loving Elizabeth series. Is the second book in the Bluestocking series finished? I hope to finish it this summer. It is my primary focus now. Thank you for answering. I hope you are feeling well and may God bless you through your ordeal. I love your books.